KANSAS CITY, Mo. 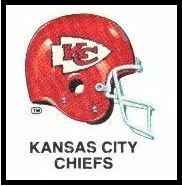 - The Kansas City Chiefs have activated right guard Laurent Duvernay-Tardif from injured reserve and waived safety Ron Parker ahead of Sunday's AFC championship game against the New England Patriots. The Chiefs' best run blocker, Duvernay-Tardif started the first five games before breaking his leg against Jacksonville. He was placed on IR after undergoing surgery, began practicing again on Dec. 26 and was active Tuesday, the final day the Chiefs could choose to bring him back. It's unclear whether Duvernay-Tardif will start against the Patriots, especially given how well Andrew Wylie has played in his place. But either way, his return bolsters the Chiefs' depth up front, and is another sign of how remarkably healthy Kansas City is at this point in the season. Parker was signed late in training camp, when it became clear Eric Berry would miss a good chunk of the season. But he'd lost his starting job to Jordan Lucas in recent weeks and became expendable.